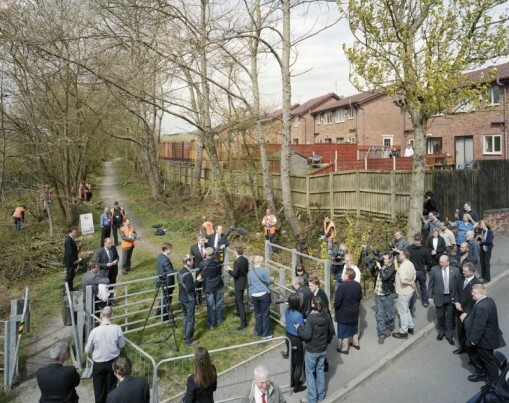 To coincide with the general election, Photofusion in London is showing Simon Roberts' The Election Project, a body of work documenting the 2010 election campaign. Here he discusses the photographs in light of the current political climate, the symbolic nature of landscape photography, and his attempts to democratise the artistic process. Brighton-based photographer Simon Roberts is known for his large-format photographs that reflect how our collective and national identities are shaped by our relationship to the landscape. Often shot from the top of his motorhome, their high vantage point affords him distance to acutely observe his subjects, while compositionally echoing the vocabulary of history painting. Roberts’ work has been exhibited and collected widely, including the George Eastman House, Deutsche Börse Art Collection and Wilson Centre for Photography. 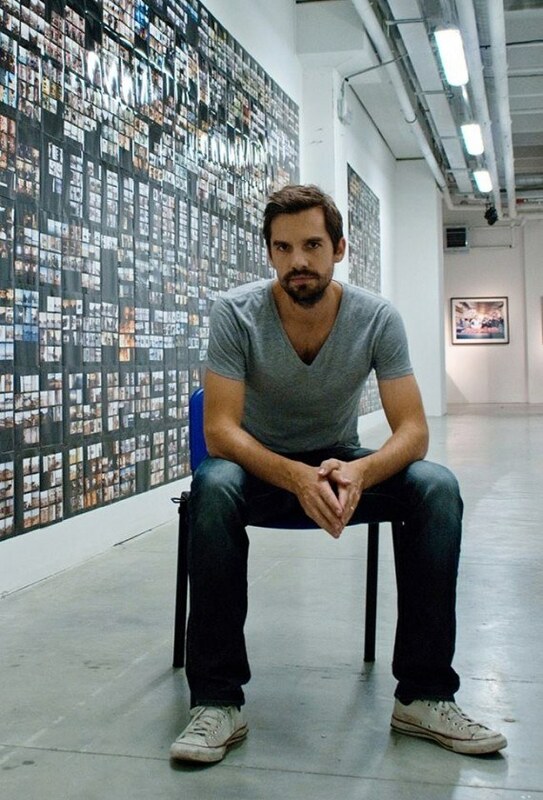 In 2010 he was commissioned as the official Election Artist by the House of Commons Works of Art Committee to produce a record of the general election on behalf of the UK Parliamentary Art Collection. An exhibition of works from the resulting series, The Election Project, are currently on display at Photofusion in London. It’s five years since you produced The Election Project, having been selected as the 2010 British Election Artist. Do you feel it’s time to reassess the body of work and its historical legacy? It’s maybe a little early to talk about legacy but the fact that the photographs are held in the Parliamentary Art Collection does offer the work a sense of permanence. With regards to reassessing the project, I do think it’s valuable to look at the photographs again in respect to the current general election and consider how the political landscape in Britain has radically shifted over the past five years following an era of coalition government, economic austerity and increased nationalistic tendencies. It would certainly be pertinent to also consider my images in the context of increased paranoia on behalf of the political party media machines (think of Gordon Brown’s unfortunate episode with Gillian Duffy) and their attempt to micro-manage how the public view their campaigns. The legendary photographer Robert Adams has commented that, “Landscape pictures can offer us three varieties – geography, autobiography and metaphor … Taken together the three kinds of information strengthen each other and reinforce what we all work to keep intact – an affection for life.” What is it about the potential of landscape photography as an idea and a form that continues to attract you? I believe the landscape genre is of critical importance in the way we think about ideas of identity and definitions of Britishness, and as a consequence it has been central to the form of my work over the past decade. Also embedded in landscapes are the symbols of authority, power and socio-economics, all of which I want to communicate to the viewer. To some extent the landscape composition offers a broader structure to my photographs, helping provide a sense of context for a series of narratives playing out inside the frame; within the landscape I attempt to convey a series of visual clues and signposts to facilitate a more indepth reading of the scene. Take for instance my photograph of David Cameron leaving the polling station in Spelsbury with his pregnant wife Samantha, waving to photographers and well-wishers. A mannered media circus lines the streets while comically extended microphone booms attempt to capture Cameron’s comments. Also visible in the landscape is a Ladbrokes blackboard showing the odds for each party; a woman’s Jack Russell terrier being held up by its owner who is waving the dog’s paw; and the Daily Mirror’s election mascot surrounded by police officers – a reporter dressed as a chicken who had stalked Cameron throughout the election campaign trail. Poignantly, given the outcome of the election, there is also a ‘Liberal Democrats Winning Here’ political poster in the bottom left of the frame. There’s certainly geography and metaphor here, and I suppose, yes, for me that photograph does evoke the “affection for life” that you talk about, although I’d not thought of it like that before. The cumulative effect of The Election Project is that the images seem to go beyond recording that momentous year when the future of British politics hung in the balance, to offer a deeper reflection of Englishness and how we remember England in 2010. What do you hope your viewers take from these photographs in terms of a particular narrative? Generally speaking my work attempts to explore how our collective and national identities are shaped, interpreted, defined and transformed by our relationship to the landscape. Often creating expansive, tableaux photographs, I try to chart the ambiguities and complexities of post-industrial Britain. The photographs require scrutiny and contemplation. They have a visual command that comes from their expansive nature and scale. With this particular work I was interested in how the political theatre temporarily transforms our urban and rural landscape during the period of electioneering. They are a pictorial archive of a historic moment in British politics. However, I was also making a critique of current election campaigns, which are often geared to exclude the unexpected encounter and instead present a choreographed scene on behalf of the press. I felt it was my role to present a different perspective, unhindered as I was by rolling 24-hour news deadlines or political allegiances of a commissioning editor. What were the challenges in making photographs that offer political and social commentary? Firstly just the logistics of organising the project provided their own challenges. I spent three months researching such issues as political shifts towards smaller parties, the importance of marginal seats and significant ‘hot’ local issues, so that each photograph could function as a unique chapter of the election story. There was also the issue of having to negotiate the suspicious press officers of each party who were often wary of my presence – given I couldn’t influence tomorrow’s news agenda – and questioning why I needed to park my motorhome so close to their media event (I used the roof of the vehicle to gain my elevated perspective). Obviously another crucial element of the project has been the public participation, whereby you invited people to voice their opinions on the election campaign and also upload their own pictures to your microsite. What added value did this represent for you? In the context of a political landscape in which many people had become disillusioned with and distrustful of politicians, I tried to democratise the artistic process and give the electorate the space to share their visual responses; a method that, in some ways, recalls the Mass Observation movement of the 1930s-’50s, which aimed to create an ‘anthropology of ourselves’. The public’s images helped build a much bigger archive of what the election looked like, whilst also providing a valuable social document that illuminates the impact of digital media and technologies upon the fabric and culture of photography in the 21st century.